This edition of MRM’s Daily Bite features Wahlburgers and ARKK Food Company, Upserve, Pernod Ricard USA and LOLIWARE, UNiDAYS and Bareburger, HotSchedules, Papa John’s, Nespresso, honeygrow and LevelUp, ParTech and Checkmate, Southern Glazer’s Wine & Spirits ChefHero, she, Margaritaville Holdings, Meatless Mondays and SpotOn Transact. 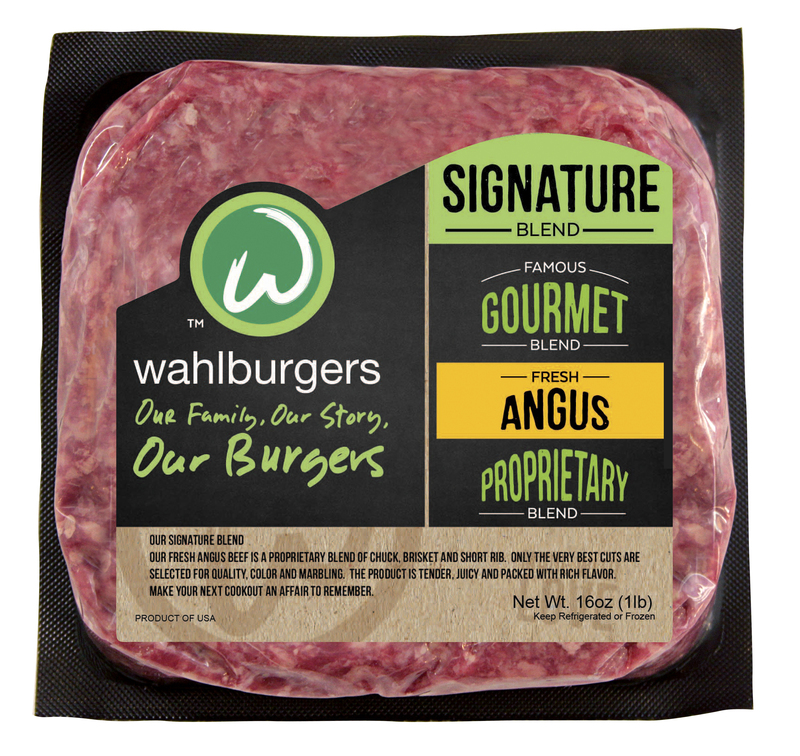 Wahlburgers, along with other investors, has collaborated with ARKK Food Company to develop a retail beef program. 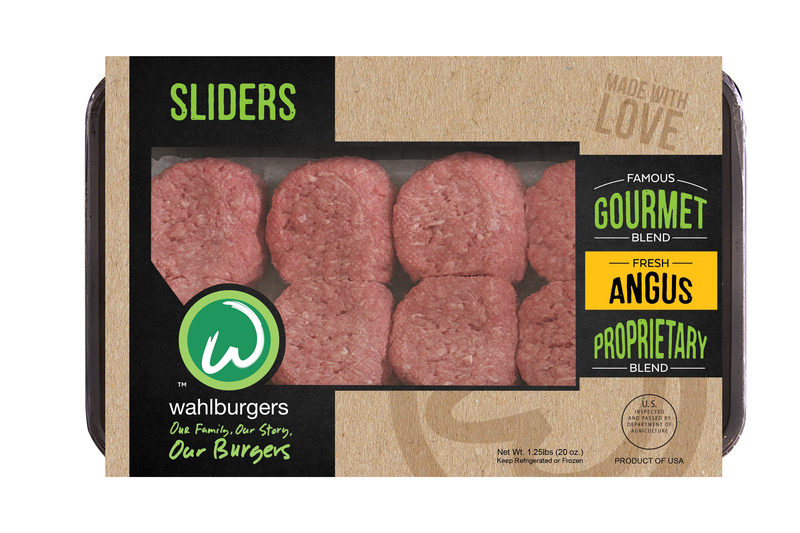 The line of consumer products will include ground beef, pre-formed patties, pre-formed sliders, and brick pack, all made with the same proprietary Wahlburgers angus blend of brisket, short rib and chuck, found in its restaurants across the country. The new retail beef products will be available at grocery store locations nationwide, with an initial launch over the next 30 days at: Hy-Vee, Jewel-Osco, Acme, Safeway, Shaw’s and Winn-Dixie. Over 1,300 stores within the following states are set to receive the product: Alabama, Connecticut, Delaware, Florida, Georgia, Illinois, Indiana, Iowa, Kansas, Louisiana, Maine, Maryland, Massachusetts, Minnesota, Mississippi, Missouri, Nebraska, New Hampshire, New Jersey, New York, Pennsylvania, Rhode Island, South Dakota, Vermont, Virginia, Washington DC and Wisconsin. “The brothers and I are all excited to bring a taste of Wahlburgers to stores and ultimately homes across America with our new “Wahlburgers at Home” product line, and we thank our great retail partners for their commitment to the launch,” said CEO Rick Vanzura. Upserve opened its customer operations center in Denver, Colorado. The multi-million dollar investment in the new center demonstrates Upserve’s commitment to providing the highest levels of reliability and customer service to the thousands of restaurants using its cloud point of sale for restaurants, Breadcrumb POS by Upserve. Upserve has hired over 50 team members to staff the new Customer Operations Center in Denver. Upserve has appointed Mike Coar as senior vice president of customer operations to lead over 100 team members nationwide. Based in Denver, Mike brings 25 years of experience in operational and product development roles delivering and supporting a host of advanced technology. 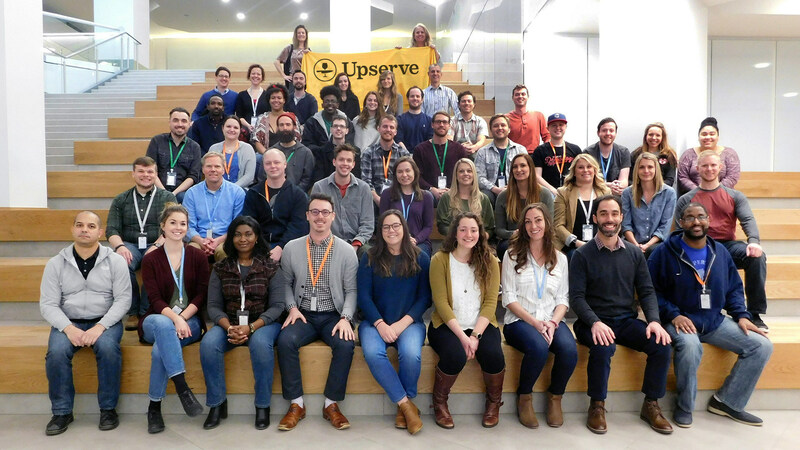 Upserve joins a host of other technology companies that have recently flocked to the flourishing Denver area, which offers tremendous resources and talent, as well as a high standard of living. To further complement Pernod Ricard USA’s commitment to eliminate single-use, nonbiodegradable straws and stirrers from the beverage business, the company is collaborating with industrial designers and LOLIWARE co-founders, Chelsea Briganti and Leigh Ann Tucker, to reimagine the cocktail consumption experience, top photo. 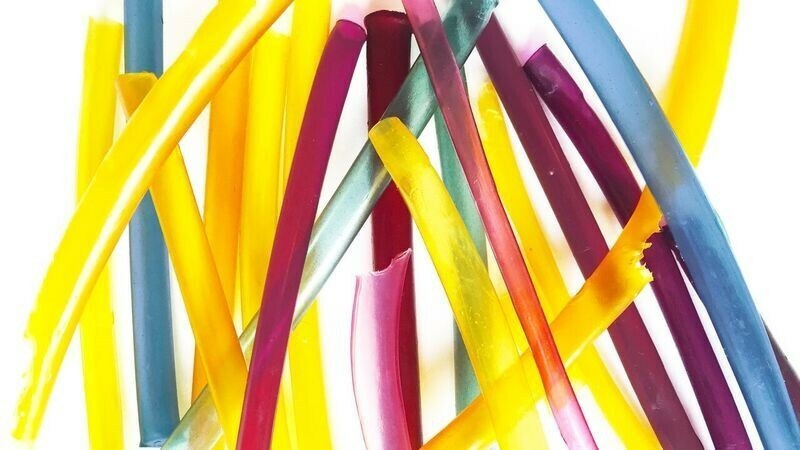 LOLIWARE recently launched LOLISTRAW, a hypercompostable fully edible straw to help replace the millions of straws and stirrers used in the United States, and around the world, everyday. A plastic straw which is only used on average for 20 minutes can take more than 200 years to break down into smaller pieces and often does not fully disintegrate. Pernod Ricard USA’s 2020 Roadmap initiative also focuses on eliminating all operational waste by 2020 and encouraging consumers to share waste best practices. LOLISTRAW contributes to this objective as the straws can simply be consumed or composted at the end of their use. UNiDAYS has teamed with Bareburger to offer a college student incentive program in New York City. UNiDAYS provides student verification technology and integrated marketing solutions to connect brands with over 10 million Gen Z college students around the world. As part of the strategic partnership, Bareburger is leveraging UNiDAYS’ Student Verification technology and Student Incentive Program to reward UNiDAYS college student members with 15 percent off at 19 participating locations throughout Manhattan, Queens, Brooklyn and Hoboken. Working closely with Bareburger, the UNiDAYS team curated a bespoke launch plan which included the distribution of a geo-targeted launch email across its network of students in the Greater New York area. To generate additional buzz, UNiDAYS created engaging custom content across social stories including Instagram, Snapchat and Facebook. 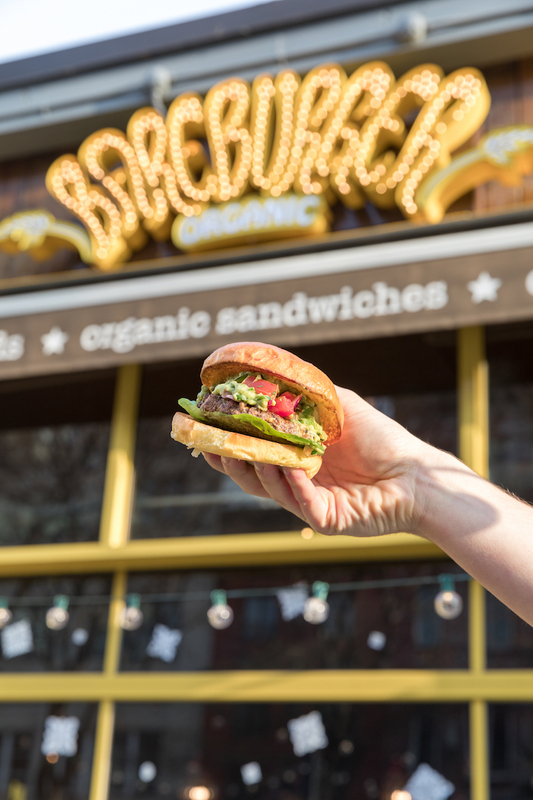 College students in Manhattan, Brooklyn, Queens, and Hoboken can access the Bareburger offer by visiting http://www.myunidays.com or downloading the UNiDAYS app for iPhone and Android devices. DiscoverLink has joined HotSchedules’ Global Partner Network. The partnership adds DiscoverLink’s robust learning and development content to HotSchedules’ Clarifi™ Talent Development system, offering restaurants an entirely new level of industry-specific training resources. Clarifi Talent Development is an easy-to-use learning and performance management system that identifies skills gaps, rewards top performers and handles other tasks ranging from new hire training and complex compliance tracking. With the addition of DiscoverLink’s content – 75 restaurant-specific courses to start – Clarifi Talent Development offers the most robust and integrated training system available for restaurants seeking to retain staff, grow talent and comply with workplace regulations. According to TDn2K research, management retention is the single most important factor in running a successful restaurant. With current turnover rates continuing to increase for hourly employees and restaurant management turnover at a historically high level, staff retention remains a top concern among operators. Clarifi Talent Development customers will be able to leverage DiscoverLink’s catalogue of existing content as-is or have content customized to meet their specific training needs and company’s branding. Papa John’s will be testing beer delivery in the Jeffersonville, IN market. As part of this test, Papa John’s will offer a variety of five beers available in 16 oz. 6-packs to consumers in Jeffersonville via carryout and delivery. The variety of beer being offered includes, Miller Lite, Coors Light, Coors Banquet, Dos Equis and Yuengling. The very first Papa John’s started in the broom closet of Mick’s Lounge in Jeffersonville, IN, which offered beer delivery as an initial menu offering. In accordance with U.S. liquor laws, a person 21-years of age or older must present a valid state I.D. to the driver upon delivery. Nespresso opened its first permanent boutique in British Columbia inside Vancouver’s Metropolis at Metrotown. Designed by Universal Design Studio, this new concept aims to reflect the brand’s commitment to sustainability, strengthen its physical presence in Western Canada and continue its tradition of offering exceptional quality products to coffee lovers across the country. 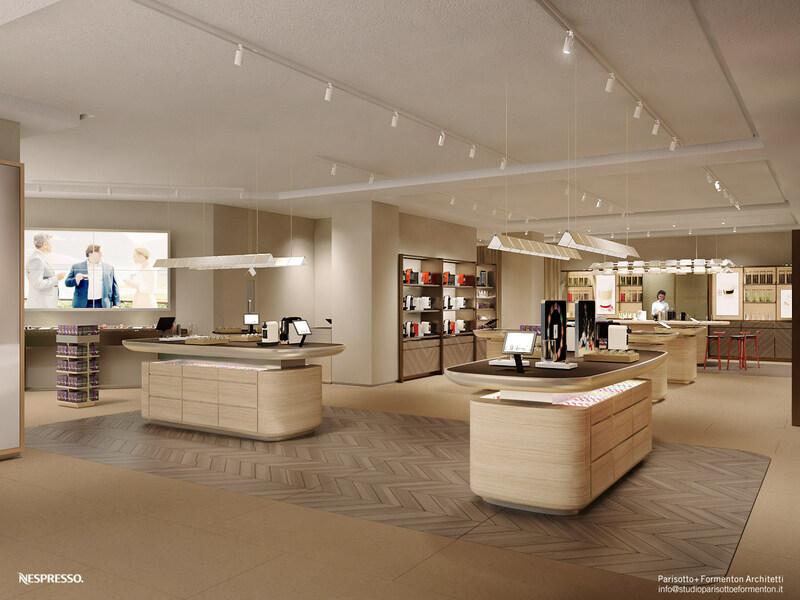 The boutique’s contemporary space invites guests to explore a variety of Nespresso’s key features, focusing on the brand’s sustainability initiatives and a digital space that delivers an effortless purchase experience and coffee selection program for its consumers. A Sensorial Welcome: Upon entering the Boutique, Coffee Specialists introduce guests to the vast range of coffees, get hands-on with the coffee grounds inside each capsule, and learn about their distinct aromas. Discovery at the Bar: As guests peruse the smart and easy-to-use machines and accompanying accessories, a Coffee Specialist will assist them in exploring the coffee ranges further. Learning in the Lab Kitchen: From lattes with the perfect milk foam to unique coffee creations, guests can experiment with coffee recipes and learn how to expertly elevate their coffee moments at home from ordinary to extraordinary. Nespresso’s sustainability investments are an integral part of the brand experience. To achieve its ambitious commitments, Nespresso has implemented its ”Positive Boutique” program, an initiative that uses best practice guidelines for waste management, water and energy consumption and the sourcing of materials. The Boutique features table-tops made from used coffee grounds, wood that has been 100 per cent sourced from reforestation programs and energy and water reducing systems. Further, the brand has launched the “Green Bag” Recycling pilot project in partnership with Recycle BC, giving Club members in the City of Vancouver, Anmore and Coquitlam the opportunity to easily recycle used coffee capsules in their household recycling bin with a recyclable bag specifically designed by Nespresso for this purpose. Based on the success of this pilot, the ambition is to open this free service to the entire province of British Columbia within a year. honeygrow partnered with LevelUp to develop a completely new digital guest engagement program. On-the-go wholesome food enthusiasts can experience the new online ordering system at order.minigrow.com where they can pre-order a minigrow dish to pick up at any of the brand’s minigrow locations in New York and Chicago today. minigrow will open two new locations in Boston at 125 Summer Street on April 27 and at 565 Boylston Street on May 1. The brand will extend online ordering along with an entirely redesigned app and loyalty program to all its honeygrow locations later this year. ParTech, Inc. announced a new partnership with Checkmate, a solution that allows automatic entry of all third party delivery orders directly to restaurant point of sale systems. The technology partnership will allow PAR’s cloud-based Brink POS® Software to seamlessly connect with Checkmate, which integrates various online ordering platforms such as GrubHub, Eat24, UberEats, Delivery.com, Brandibble, and many others. Checkmate eliminates the need for restaurant operators to manually enter orders to the POS. All orders automatically flow directly to the POS and in the kitchen, creating vast efficiencies for the line staff. Checkmate also offers a menu management service for restaurants across all online ordering platforms. As the percent of restaurant revenue from online ordering platforms increases, Checkmate will enable PAR customers to increase their revenues through the rapidly growing online channel without any of the operational problems and costs that come with it. Checkmates platform has a fixed monthly cost, so the cost of managing online ordering platforms does not increase as their business grows and additional delivery services are utilized. Southern Glazer’s Wine & Spirits expanded distribution agreements in the Pacific Northwest with Ste. Michelle Wine Estates, Washington’s founding winery. The market expansion includes Alaska, Oregon, Utah, western Washington State and Wyoming; bringing the total alignment with Southern Glazer’s in the U.S. to 26 states. The five-year agreement represents a long-term commitment by both companies to grow the Ste. Michelle Wine Estates portfolio in this important domestic wine region. Some of Ste. Michelle Wine Estates signature brands include Chateau Ste. Michelle, Columbia Crest, 14 Hands, and Red Diamond. Southern Glazer’s has made significant investments to position the Company as a leader in wine. It has more certified wine experts than any other North American wine and spirits distributor. Its employees have successfully completed more than 5,000 wine, sake and spirits education programs, from introductory to master-level achievements. 117 Certified Specialists of Spirits (CSS). ChefHero, a digital marketplace that allows restaurant owners and their staff to order wholesale food and supplies through one easy and convenient network, has secured $12.6M in Series A funding from investors noted for some of today’s most successful e-commerce brands. The funding was led by Accomplice.co, with participation from Golden Venture Partners, Precursor Ventures and Math Ventures. Since launching in 2017, Toronto-based ChefHero has grown by more than 118 percent to 60 employees. ChefHero will use the funding to accelerate growth and fuel expansion to select cities across North America where the restaurant scenes are booming. Unlike major food distributors, ChefHero takes a hyper-local approach focusing on cities where there is a thriving restaurant industry. It also aims to improve the way local suppliers and restaurant owners do business together by providing transparency in pricing on one platform with access to hundreds of establishments and vendors. There are close to 800,000 restaurants across North America that spend billions of dollars on food and beverage products each year. At the same time, food costs account for approximately 30% of a restaurant’s sales. ChefHero allows individual restaurants to buy in bulk, which translates to substantial savings. Typically, only major national restaurant chains are capable of negotiating discounts but ChefHero caters to single and multiple-owned establishments, thus filling a market niche. Hundreds of restaurants, caterers, food trucks, coffee shops, bars, and pubs like Flock Rotisserie, StrangeLove and Paramount Fine Foods are using ChefHero to order produce, meat, seafood, bread, and dairy products as well as kitchen supplies. The companies save time and money otherwise spent on hours associated with negotiating prices with individual suppliers and tirelessly tracking orders. Small to mid-sized suppliers are also recognizing the benefit of having access to hundreds of potential customers on the ChefHero platform. This reduces or eliminates overhead costs associated with having to pay a front-line sales team to knock on doors. Suppliers also receive one consolidated on-time payment from ChefHero on behalf of hundreds of customers so they don’t have to chase payments from individual accounts anymore. They can also unload overstock quickly, as it is actively promoted to hundreds of prospective customers through the platform in real time. sbe said two of its brands – Katsuya and Umami Burger – are expanding into Mexico for the first time with over 40 venues in the pipeline, in partnership with Gin Dinar. “We are very excited about our licensing partnership with sbe. We believe that both brands will be a resounding success in Mexico as there is a market niche looking for refreshing and innovative options such as Katsuya and Umami. In the same way we are excited to have a relationship with a company such as sbe with which we feel closely linked in terms of its principles, mission and values. These brands are ideal for the portfolio of our company,” said Raul Manuel Beyruti Sanchez, from Gin Dinar and president of GIN Group. Disruptive Group, whose portfolio also includes The Bazaar by José Andrés, Fi’lia by Michael Schwartz, and Cleo by Chef Danny Elmaleh, confirmed that four Umami Burgers and two Katsuya outposts will open in Mexico City in 2018. This is a multi-agreement franchising deal with restaurants located in new standalone units, as opposed to inside of existing sbe hotels and residences. These openings are the first of 60+ Umami Burgers and Katsuya restaurants set to open in the coming years, as Disruptive Group looks to secure franchise agreements with qualified multi-unit operators in major metropolitan areas around the world that leverage sbe’s current growing footprint while expanding into desirable locations. As well as expansion into Mexico, Umami Burger, with 22 locations currently, has restaurants planned in the UAE and Qatar, as well as 10+ further sites in Japan. sbe is also in talks to bring Umami Burger to other markets around the world, with conversations progressing well with franchise partners in South Korea, Brazil, Portugal, Malaysia, and Turkey. This news comes on the heels of another major announcement for the premium burger brand, who just released three exclusive menu items in partnership with Impossible Foods, the makers of the plant-based Impossible Burger. For a limited time, all US-based Umami Burgers will offer the new Impossible Classic along with two first-ever vegan options, Impossible VBQand Impossible Trufflemaker, making Umami Impossible Foods’ largest retail partner. With 13 locations worldwide designed by icon Philippe Starck, including Los Angeles, Las Vegas, South Beach, Baha Mar, Dubai, Manama, and Kuwait City, Katsuya’s trademark award-winning cuisine and bold design has created an international empire. sbe has seen success with 6 Katsuyas throughout the Middle East with partner M.H. Alshaya, with an additional 5 more in the pipeline for the region. The fourteenth Katsuya outpost is set to open at the highly-anticipated SLS LUX Brickell in Miami in Summer 2018, with interiors by design duo Yabu Pushelberg. Margaritaville Holdings is building a new Margaritaville Resort in New York City. Located in Times Square at 560 Seventh Avenue, blocks away from the bright lights of the entertainment district and New York’s most popular attractions, the 234-room, 29-story property is expected to open in late 2020. Once complete, the $300 million project will boast several Margaritaville food and beverage concepts, a rooftop LandShark Bar & Grill and pool, retail space and more. 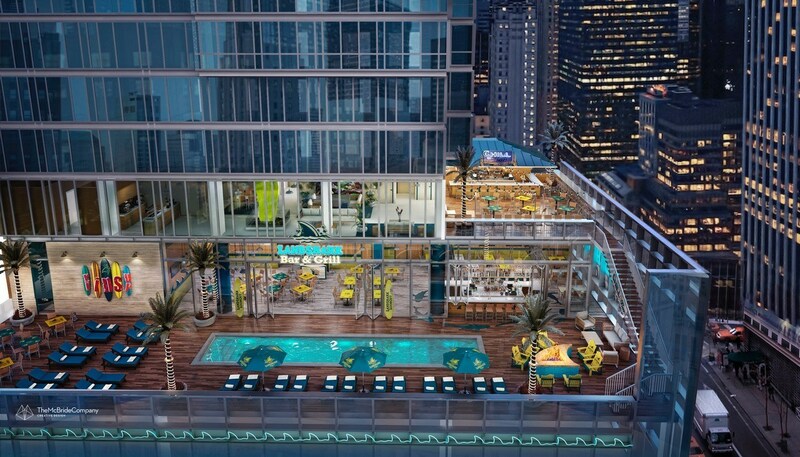 The Margaritaville Resort in New York City will bring an authentic “no worries” vibe to the city that never sleeps with Margaritaville’s signature ‘casual-luxe’ design elements, a rooftop pool, St. Somewhere Spa and lounge areas overlooking the city’s famous skyline. In partnership with International Meal Company (IMC), food and beverage venues include a Margaritaville Restaurant, LandShark Bar & Grill, 5 o’Clock Somewhere Bar, Floridays Airstream Café, and an all-new concept, Chill Bar. Retail space is planned for the lobby, allowing guests a way to extend their visit to paradise and bring the island life home. The resort will be developed by Sharif El-Gamal’s Soho Properties, in partnership with Chip and Andrew Weiss and MHP Real Estate Services. Additional details regarding the resort’s amenities will follow in the coming months. One of the most common concerns in practicing Meatless Monday is whether or not you’re getting enough protein. In a recent online survey conducted by the Data Decisions Group1, 52 percent of the participants agreed that getting enough protein was one of the biggest challenges in cutting back on meat. The Meatless Monday Plant Protein Power campaign includes informative posters, social media graphics, animated GIF visuals and a list of frequently asked questions. It also contains a variety of meatless meal suggestions that fulfill the recommended dietary allowance (RDA) for protein. The kit’s contents can be used by organizations like hospitals, schools and companies as part of their wellness programs. Individuals looking for new ways to incorporate more plant-based protein into their diet can also benefit from this free downloadable kit. Meatless Monday was founded in 2003 by Sid Lerner and Johns Hopkins to provide an easy way for people to reduce meat in their diet for their health and the health of the planet. This initiative is now active in over 40 countries and is practiced by schools, hospitals, restaurants, celebrities and whole communities. Meatless Monday is an initiative of The Monday Campaigns, a public health initiative in association with The Lerner Centers for Public Health Promotion at Johns Hopkins, Columbia and Syracuse Universities. The campaign offers science-based weekly tips, recipes and other inspiration to help people start the week off healthy. Wellness organizations can also download free resources to start their own Healthy Monday programs. SpotOn Transact LLC announced an initial investment of $20 million led by twin brothers and co-founders, Matt and Zach Hyman. The Hymans have 20 years of experience in the industry and most recently sold Central Payment to Total System Services (“TSYS”). SpotOn, founded by the Hyman brothers and Doron Friedman, brings together payment processing and a robust software solution, giving its merchants richer data and tools that empower them to market more effectively to their customers. The SpotOn platform offers the most comprehensive tools for SMB’s including payments, marketing, reviews, analytics and loyalty. As part of its continued growth and investment, SpotOn has made several strong additions to its Management team and Board of Advisors including Kevin Bryla, CMO of National Funding, and former CMO of ADP and Carl English, founder and CTO of Dinerware. The Company anticipates announcing significant partnerships, product releases and milestones in the coming months.